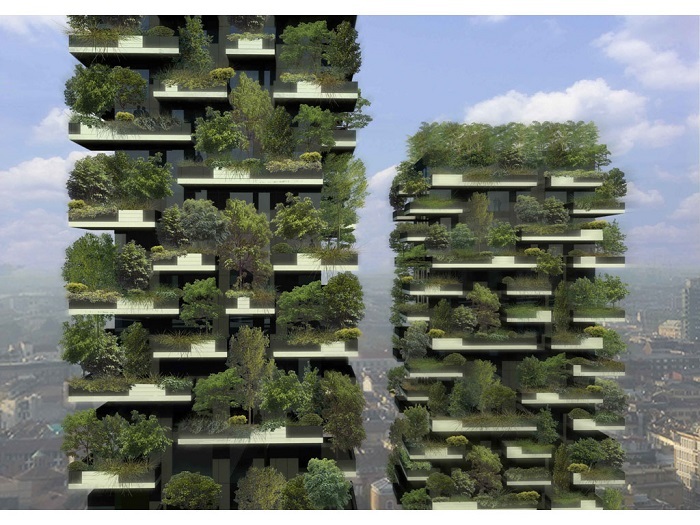 While green frontiers around the world are slowly being gobbled up, there's plenty of room to build upwards -- a staggering look at vertical gardens. Vertical gardens are the topiary of the future. These breathtaking, upward expanses of greenery are popping up worldwide as public art, covering civic and residential buildings, and functioning as space-conscious home gardens. 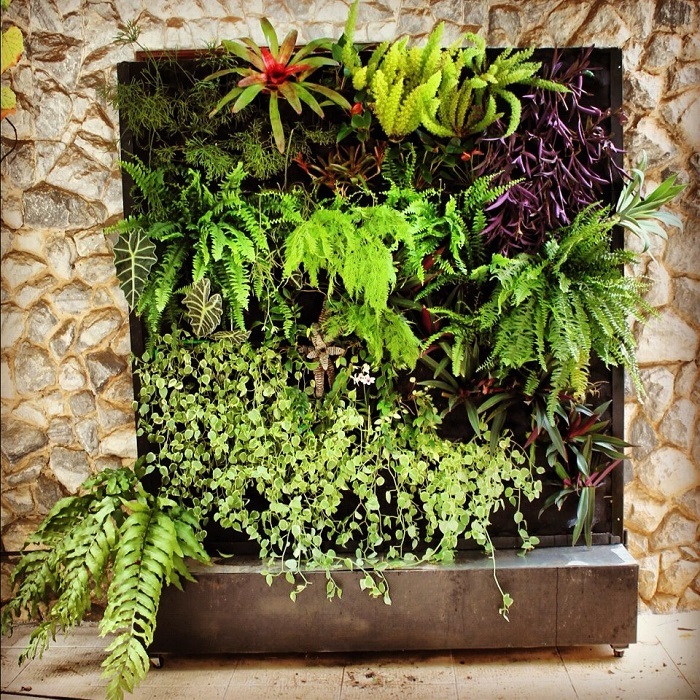 A vertical garden is a wall or vertical structure that is at least partially covered by vegetation. These gardens range from pure decoration to fully-functional herb or veggie gardens for those lacking a lot of space. The high-reaching form of gardening has become of worldwide interest as it offsets a space’s carbon footprint while also being aesthetically pleasing. 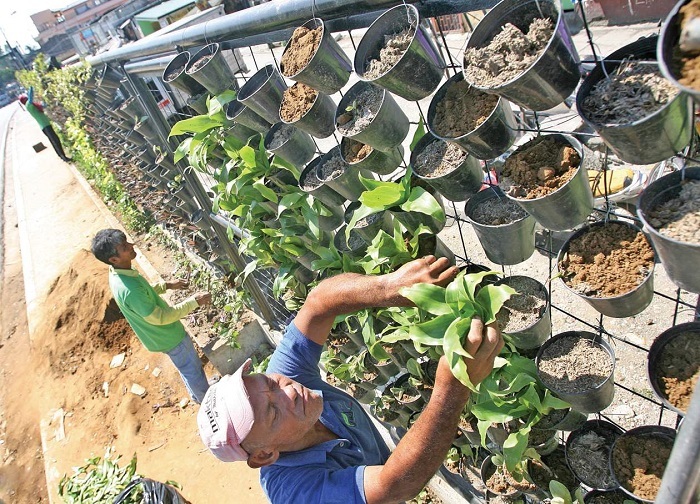 Recently, vertical gardening has moved from small-scale venues to become an integral facet of some major architectural projects in construction. Though the images are only digitized plans of how the buildings will look in the future, it’s obvious that these structures will provide a beautiful contrast to the dark cities in which they’re located. As perhaps the most archetypal symbol of life, DNA’s double helix structure fittingly inspired the Agora Tower’s own shape and structure. 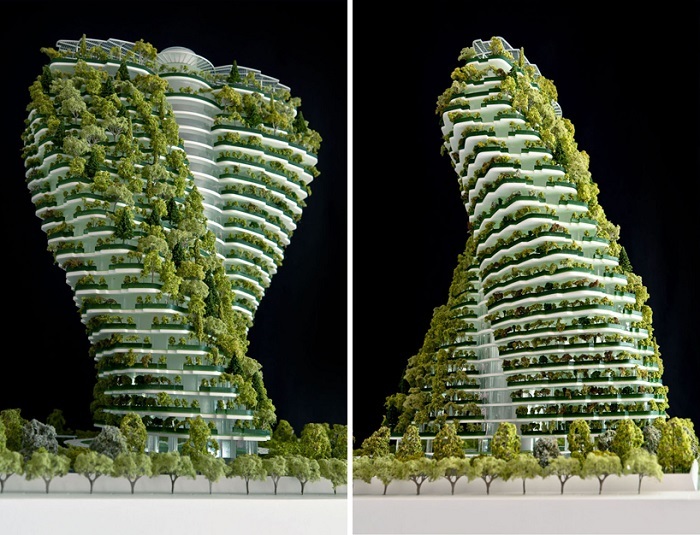 The incredible vertical garden building will support aromatic and medicinal plants, an orchard, a vegetable garden, and even a rainwater capture system. Surpassing a simply energy-passive role, the tower will actually improve the city’s environment. 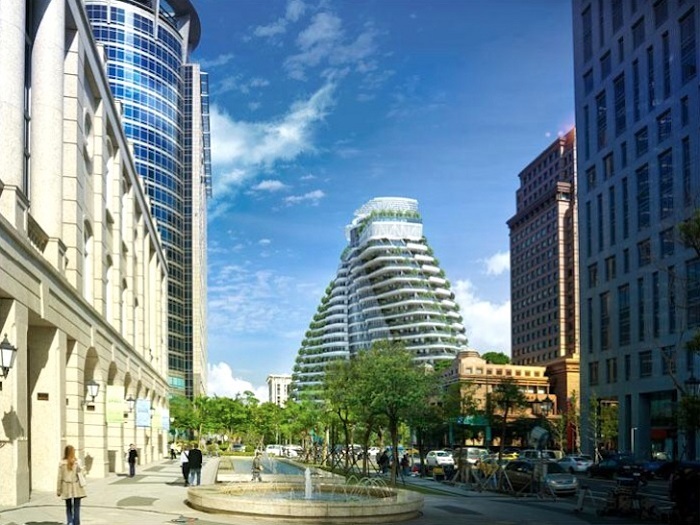 Construction on the Agora Tower in Taipei, Taiwan will be completed in 2016. 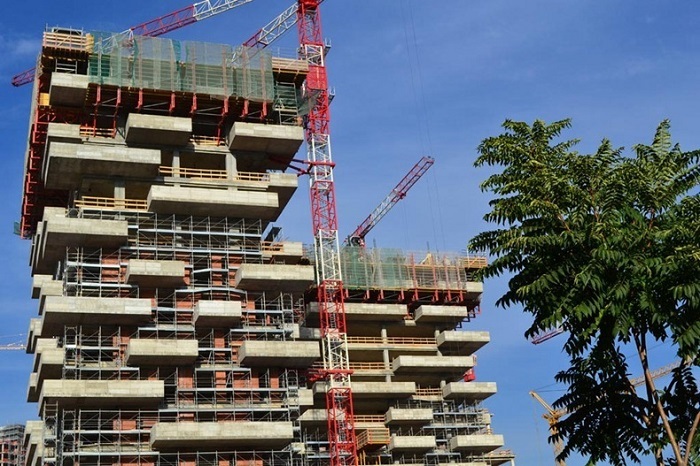 Milan’s Bosco Verticale is also a vertical garden currently under construction. These two residential structures will house hundreds of trees and thousands of groundcover plants, which, according to the designers, will be the equivalent of a hectare (almost 2.5 acres) of forest. Though the structures present a staggering silhouette against the city skyline, they also have a more practical purpose; the vast “forests” that cover the buildings decrease air pollution, produce oxygen, and filter harmful sun rays.